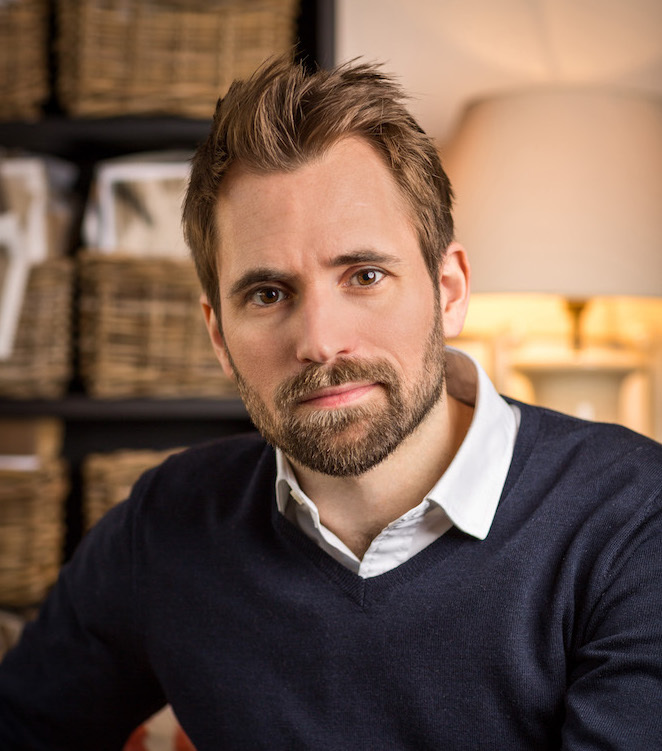 Henry Prideaux set up his interior design practice in 2014 having worked in the interiors industry since his early 20s. After completing his studies at Trinity College Dublin and the Chelsea College of Art & Design he started his career with Jonathan Hudson before moving on to work with respected studios such as Nicky Haslam’s NH Design and The Studio Harrods. He is an accredited member of the BIID and has worked on multiple residential projects of all sizes throughout the UK. He has a classic and elegant style and works closely with clients to ensure that they maximise the space they have and to help them achieve what they are ultimately striving for – be it the feeling of a double height library in a small London town house or high-end design that also accommodates life with small children. 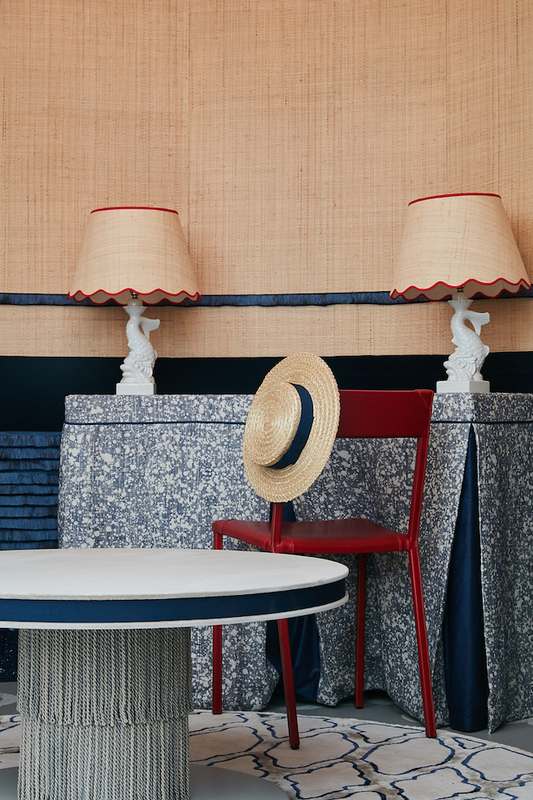 Henry was one of four designers chosen to create a vignette for the entrance at Decorex 2018. The designers were briefed to create a space which represented their journey to date. 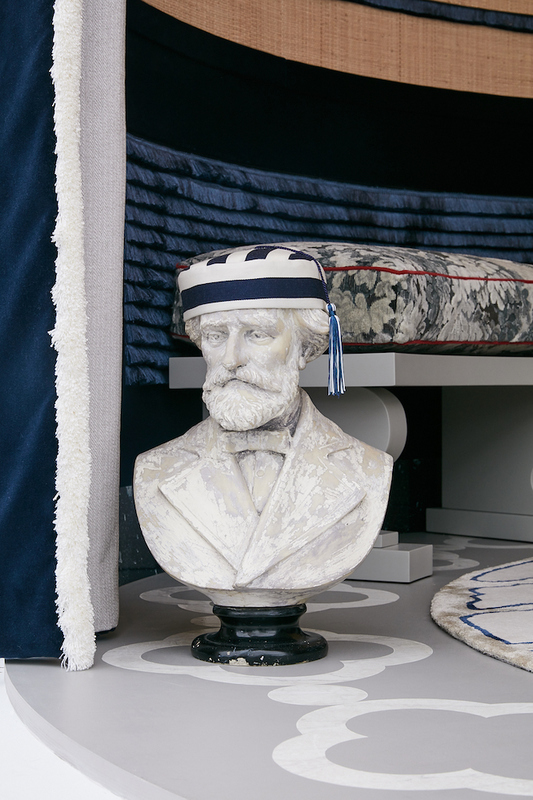 His space was much lauded and included a number of bespoke items as well as materials and pieces from his impressive collection of suppliers. Henry is well known to Chelsea Design Quarter and we are delighted to welcome him to our Top 5 Picks Series and will be fascinated to see which items he chooses. Henry, thank you for taking the time to talk with us. Firstly – tell us a little about your background and how you came to interior design? I was always creative and regularly achieved top grades in both Art and Design Technology at school. From the age of 13, I went to Harrow School and at the start of each new term would take great pride in decorating my rooms using the interesting things I’d picked up. Several years later during the summer holidays of my penultimate year of University my parents were having their house decorated by professional interior designer, Jonathan Hudson. With no real plans, I jumped at the chance to get involved for a few months, running errands and assisting with projects all over London. After completing my final year at University and gaining a Degree in European Studies, I went to work for Jonathan Hudson on a more permanent basis, during which time I was exposed to all aspects of running an interior design practise. I spent the following year gaining lots of useful experience working with a range of property developers, architects and interior design studios before being lucky enough to secure a position as a junior designer at NH Design working for Nicky Haslam, where I spent the next 5 years absorbing as much about great interior design as I could. I am extremely proud of all the projects in my portfolio. Each one has been designed for individual clients in specific houses with different requirements and there are reasons that each project has turned out the way it has. One project that will always stand out for me is The Blue Room in a Battersea apartment which is blue from floor-to-ceiling. 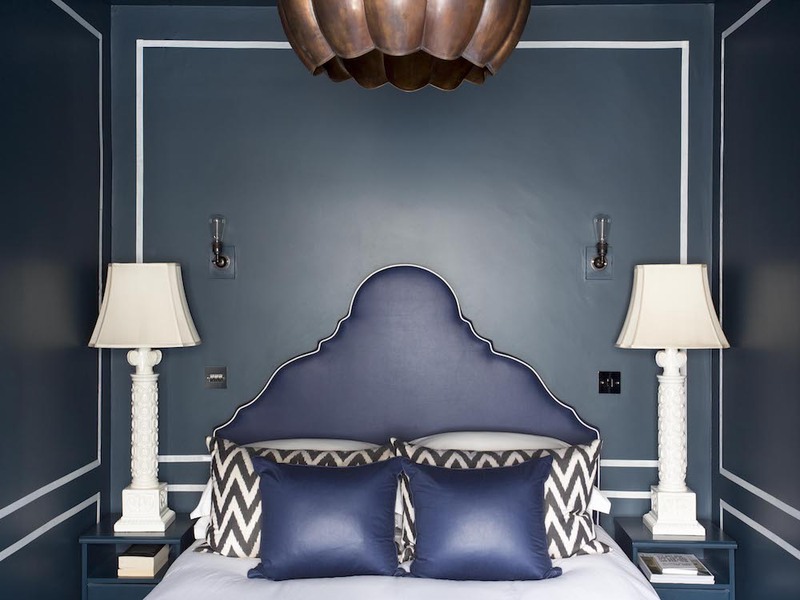 It was a bold decision to finish everything in the same shade of blue with Farrow and Ball’s Hague Blue paint selected for the walls, ceiling, woodwork, doors, wardrobes and bedside tables and a similar shade of blue chosen for the carpet, bed linen and window treatment. The design trick that really made it stand out was the use of off-white grosgrain ribbon as a panelled wall effect to add an interesting dimension. Creating a room using only two colours is not easy but in the end simplicity wins. My recent installation for the entrance at Decorex International 2018 is another project that was a great success for me as it became a very personal project and having my design executed exactly as I planned then being able to present it to the whole interior design community was a very proud moment. The Yellow Room by Nancy Lancaster and John Fowler at 39 Brook St would have been wonderful to have been involved in. Also, whilst I was lucky enough to create some beautiful interiors during my time working with Nicky Haslam, I would have loved to have worked on every project he did as, in my opinion, they are all breath-taking. Looking forward I would love to work on a country house, a ski chalet and a beach house, but maybe this is just a wish list of homes I would like myself. How did you develop your recent design for your entrance at Decorex? Did you find it hard to come up with a concept and finalise a design? The brief for the entrance vignette at Decorex was; ‘Blank Canvas, your journey in interior design and how you got to where you are today’. It was completely open to interpretation, so I thought about the key stages of my journey, who I had worked with, where it all started and how I could turn these into a something engaging. The initial idea actually came about very quickly, during an hour or so of brainstorming ideas with my partner, Amy, but its execution demanded meticulous planning to get it right. The idea centred around Harrow School, where I boarded for 5 years, decorating my room with every new term. Unbeknownst to me at the time, this period would be the foundations of my future career as an interior designer. I built upon the concept using the colours of the school uniform, the materials and detail of the school hats (a shallow straw boater and a fez) and some architectural elements of the principle school buildings to develop the design. To create the installation, I was given a raised circular plinth with a sheer curtain (to conceal half the platform from the audience), and that was it. As an interior designer you would ideally have walls to decorate and place furniture against and there weren’t going to be any. So, with the fantastic Archer and Smith on board, I set about creating curved walls, a roof and floor which became a miniature room-set to represent a study room from school. The raffia on the walls was used to represent the straw hat with a fringed border as a nod to my time with Nicky Haslam, and the shape of the hat was recreated within the structure of the ceiling. The low-level panels and curtains in blue velvet represented the blue school jacket and the tassel on the fez was represented in the fringing on the walls and furniture. Every element down to the last detail and shape had a link to a former job, the school or a regular supplier I use. I think this is true to a certain extent, but it helps to be a great designer with great ideas in the first place to ensure long-lasting success. Social media (specifically Instagram) is all about visual content so some stylish images might garner plenty of interest but backing them up with genuine industry knowledge and a professional service is crucial. I try to post only my own images on social media so people see my work and me as a real person (with the occasional exception if I have been inspired by something), rather than pretending to be someone or something else. It is a great way of promoting my services and to showcase projects and is therefore also a good way for potential clients to research me. I wouldn’t say my business has been more successful as a result, but awareness of the brand has increased and interacting with suppliers and other designers is a good way to boost my professional network. There are so many new suppliers, emerging brands and designers starting out on their own that the industry can seem saturated – I sometimes wonder how we can all be in business but I’m happy to coexist with the great talent out there now. A personal bug bare are the great pretenders on social media and the way a brand can seemingly be made overnight when learning the craft should take years. Over the past decade, I’d say the ‘international hotel suite’ look has been prevalent – the sophisticated, geometric, symmetrical style with neutral, textured fabrics, metal, glass and pops of colour in cushions and accessories. This style of interior can work almost anywhere in the world and has a broad appeal but is not as easy to create as it looks. When the design is executed well it looks great, but it now feels like there is a move away from this look with more colour, pattern and shape being introduced. I would like to see the return of a more decorated look that doesn’t have to be fussy but that creates rooms with depth and interest in every corner. And fewer neutrals in place of more colour! I chose my Top 5 picks from suppliers I work with and admire the most. Brands who supply wonderful products or standout pieces that I have longed to be able to specify but haven’t had the chance to. 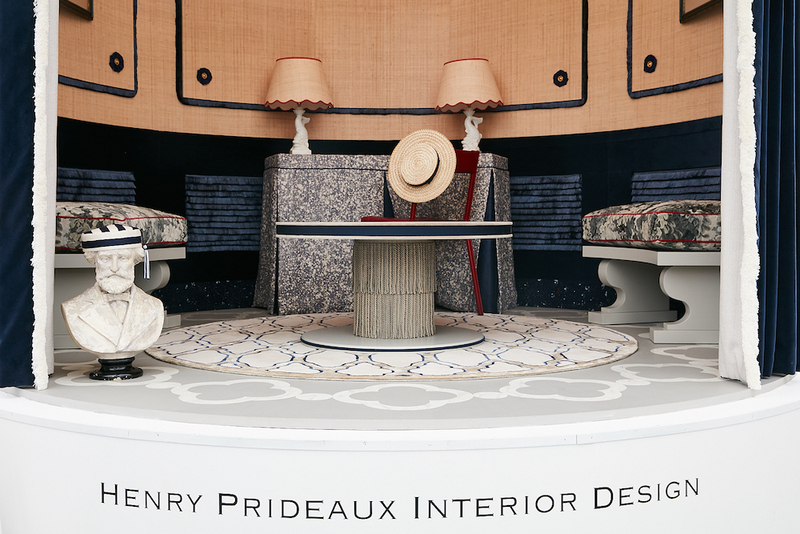 What does the future hold for Henry Prideaux, both the interior design practice and the man? I would like Henry Prideaux Interior Design to attract new clients from around the world and to grow organically through word of mouth by creating wonderful interiors. A move to a larger studio space would also be ideal with a talented team to support the growing business. Personally, Amy and I are about to move-house where we hope we will be able to create a new wonderful new home together. The house we have chosen has great potential and promises to become a nice project to put our stamp on.